While in Austin, we took a trip out to the Hill Country to visit our friend's organic pecan farm. It should be noted that "organic" is actually an understatement because they use ZERO pesticides. Instead, they control pests through the use of naturally occurring bacterium and by releasing beneficial insects (to eat the harmful ones!). Not to mention, they do all of their harvesting and husking by hand. After the waiting period has passed, cracking the shell and eating them is fair game. Stay tuned for recipes and other ideas which feature November's Ingredient of the Month (Pecan). Thank you Rancho Pancho for opening your orchard to us for the day! Café Gitane (Mott Street). Our go-to spot every time we're in the City. You can't go wrong with anything on the menu, but we love the Moroccan couscous and the organic chicken satay. 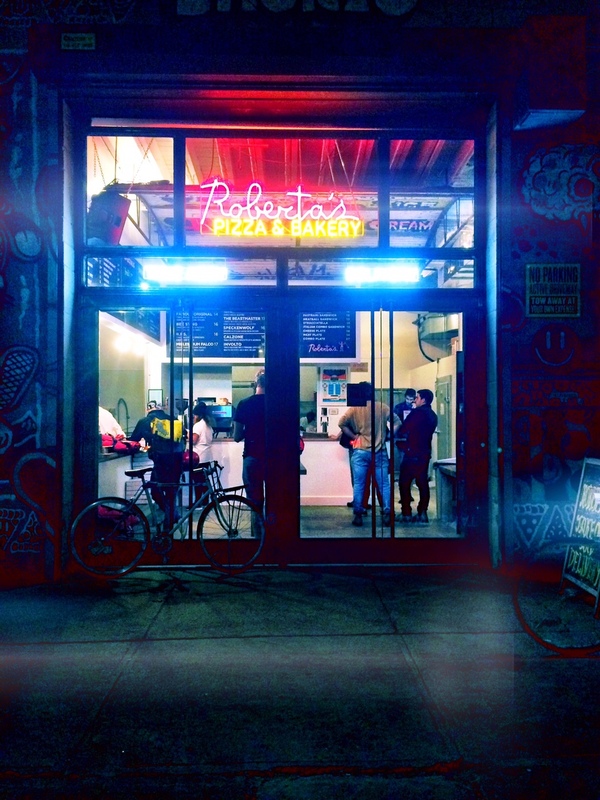 Roberta's. It was our first time here, and definitely will not be the last. The pizza is seriously out of this world (we tried the Paparizza and the Famous Original), and the ice cream sandwich we had for dessert was so good that we ordered seconds. Side note: we scooped up their cookbook while there and don't regret it (www.robertaspizza.com/book). Marlow & Sons. While the menu changes daily, one thing is constant: a quality raw oyster selection. As if we needed another reason to deem this our favorite oyster bar north of the Mason-Dixon line, they are also committed to the whole-animal movement (check out www.marlowgoods.com for more information). Lobster rolls, oysters, and an amazing biscuit with apricot jam at Marlow & Sons in Brooklyn, NY.